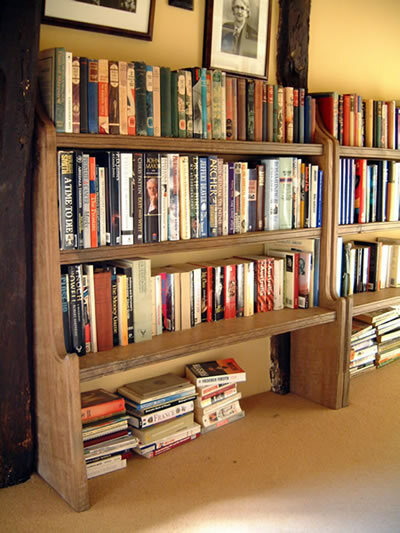 Handmade from reclaimed ancient oak, these are part of a group of various sized bookshelves, furnishing the landing of a 16th century farmhouse. The simple design was inspired by church pew ends. Although scribed and fixed to the walls they are intended to appear as freestanding. Price Group: around top threequarters of B, each set, for handmade in old oak (excl. fitting).